Gates foundation to invest $80 in data collection on women gender inequity. Melinda Gates speaks on Sept. 24, 2014, in New York City. 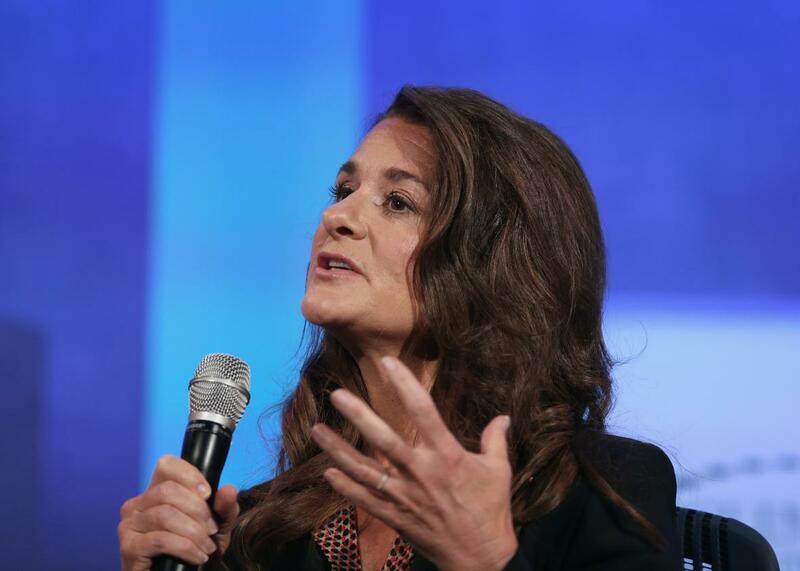 COPENHAGEN—Melinda Gates announced a new $80 million Bill & Melinda Gates Foundation commitment to global data collection in a Tuesday morning address at the Women Deliver conference in Copenhagen. Over three years, the foundation’s efforts will focus on filling gaps in data about women’s unpaid labor, improving the accuracy of data around land and property ownership, and using that data to inform civil and government decision-makers about the effects of their existing programs and recommend areas for improvement. “We can’t close the gender gap until we first close the data gap,” Gates said in her speech. In many places around the world, Gates continued, data about women’s work, pay, births, and deaths are missing—and “where the data does exist, quite honestly, it’s sexist.” That is, by leaving out the work of women (which includes unpaid labor like care work and subsistence farming that supports others’ moneymaking work), or failing to disaggregate numbers by gender, our existing data about women’s lives are undervaluing women’s participation in the economy. Gates says her interest in data and her belief in its critical importance comes from her experiences in business. Netflix analyzes data on viewers’ preferences to recommend better-suited content; Nike collects data to inform its manufacturing, shipping, and stocking; and Google marshals user data to deliver personalized advertising profiles. “They’re all collecting data because it helps them learn where to make investments,” Gates said at a press conference after her Copenhagen address. “In the women and girls space, I had to look at what the data said to know where to put an investment down.” When agencies ask governments, businesses, and civil society to direct funds toward specific strategies, they have a much harder time making their case without proper data to back them up. Gates points to the considerable advancements made in curbing child mortality, one of the eight United Nations Millennium Development Goals, as an example of the power of data. Between 1990 and 2015, the global child mortality rate dropped by more than half. Gates credits good data collection—some of it as simple as small Ethiopian clinics making tallies on butcher paper—with much of that progress; it allowed program directors and policymakers to target resources where and how they were most needed. The U.S. has already made some internal and external moves to improve the quality, quantity, and transparency of gender data. In 2012, then–Secretary of State Hillary Clinton announced the formation of Data2X, moved by the bias, inadequacy, or complete nonexistence of data she needed to do her job. “The data already provides strong evidence that demonstrates the links between gender equality and increased prosperity and security … But we are missing critical information to guide our investments better,” Clinton said at the time. “Data not only measures progress, it inspires it. … Once you start measuring problems, people are more inclined to take action to fix them because nobody wants to end up at the bottom of a list of rankings.” Earlier this year, the White House unveiled a new Equal Employment Opportunity Commission initiative to collect better data on compensation differences among races and genders in specific industries; the resulting figures will help the agency identify and investigate instances of pay discrimination. The new Gates Foundation commitment, which will also address data gaps in gender-based violence and women’s political participation, complements a new five-year program from U.N. Women that will work to improve statistics to measure progress in global gender equality. With a set of ambitious goals 193 countries have agreed to strive to reach by 2030, comprehensive data will be essential to convincing leaders that investments in women and girls are the smartest, most reliable investments out there—study after study has shown that when women and girls are empowered politically, socially, and economically, they are powerful drivers of development and economic growth in their communities and countries. “Creating a gender data revolution is not a cure-all,” Gates said on Tuesday. But without it, even the smallest steps toward gender equity will be a whole lot tougher to manage.